(from IsraelNationalNews and OneNewsNow) — The UN passed a resolution Thursday denying the Jewish connection to the Temple Mount and the Western Wall. Earlier Israel had tried to prevent the decision, even asking the Vatican to help prevent the resolution. The Vatican enjoys observer status in UNESCO [United Nations Educational, Scientific & Cultural Organization]. The site is revered by Jews and Muslims alike, known to Jews as Temple Mount and to Muslims as the al-Aqsa compound or Haram al-Sharif. “The theatre of the absurd at UNESCO continues and today the organization adopted another delusional decision which says that the people of Israel have no connection to the Temple Mount and the Western Wall,” Israeli Prime Minister Benjamin Netanyahu said in Jerusalem after the decision. The resolution, which is renewed periodically, condemns Israel for restricting Muslims access to the site, and for supposed aggression by police and soldiers. “To declare that Israel has no connection to the Temple Mount and the Western Wall is like saying that China has no connection to the Great Wall of China or that Egypt has no connection to the Pyramids,” Netanyahu said. France, which is trying to bring the Israeli and Palestinians leaders back to the negotiating table by year-end, was among countries voting in favor of the resolution on a previous occasion, a move that caused a diplomatic row with the Israeli government. Earlier this year, President Francois Hollande said there had been an “unfortunate,” amendment to the text on that occasion and that he would be “extremely vigilant” with this year’s resolution. Paris abstained this time round, the diplomat said. (Agence France-Presse) – “Eleven people were killed and about 10 others taken to hospital” after an unknown number of gunmen began shooting in the camp for internally displaced people in Ngakobo, 180 miles northeast of the capital Bangui, a statement said. “Those responsible for these dreadful acts” have not been identified, the communiqué, in French, said. On Wednesday, 30 people died and 57 others were wounded when fighters from a mainly-Muslim militia group attacked civilians and clashed with UN peacekeepers in the central town of Kaga Bandoro. The fighters then attacked a camp for displaced people as well as NGO offices. UN troops from Burundi and Pakistan hit back to protect civilians, killing 12 of the assailants. The week before, a dozen people died in the capital in fighting between Muslim forces and Christian civilians. 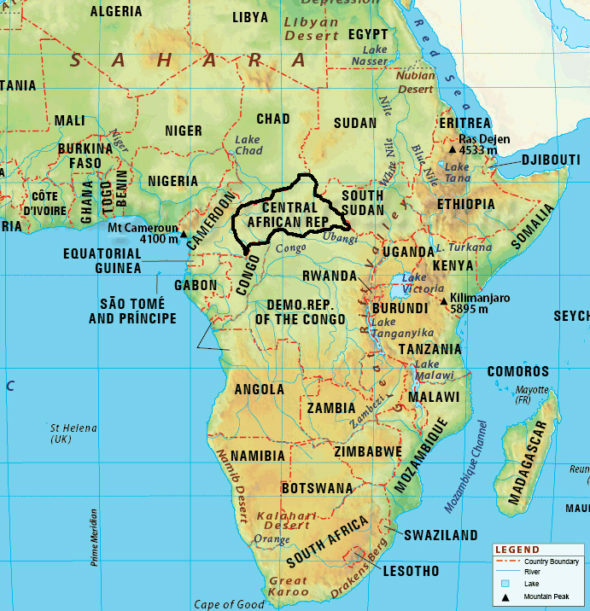 CAR plunged into chaos after the March 2013 ousting of long-serving president Francois Bozize by the northeastern Seleka rebel alliance — triggering revenge attacks and a spiral of atrocities in which thousands were slaughtered. The violence between rival militias, which later took on a sectarian element, displaced one in 10 of the country’s 4.5 million people. After two years of bloodshed, however, CAR had appeared to be returning to normal, holding peaceful elections early this year following a visit by the pope. But despite the presence of thousands of UN peacekeepers and a few hundred remaining French troops, tensions remain high and tens of thousands of people are still displaced and in need of aid. Fears remain that the armed groups have not been disarmed. Wissanu Krea-ngam, the deputy prime minister of the government, which is run by a military junta, told a state-run television channel Friday that the head of the country’s Privy Council would act as regent for now. The prince’s coronation will take place after his father’s elaborate cremation ceremony, which is months away, he said. As mourners waited in long lines Saturday at the Grand Palace to pay their respects to King Bhumibol, some expressed a quiet concern about the country’s epic transition, as they said goodbye to a beloved figure who was the only king most had ever known. Other mourners, when asked about the prince, just blushed, ducked their heads or said that the prince’s mourning period should be respected. Thailand has strict lèse-majesté laws that prohibit anyone from defaming or criticizing its royal family at the risk of lengthy imprisonment. The military junta has made an increasing number of arrests on those charges in recent years, and in the resort area of Phuket, according to local reports, an angry mob pursued the owner of a sweet shop Saturday after he allegedly posted disrespectful comments about the royals on social media. 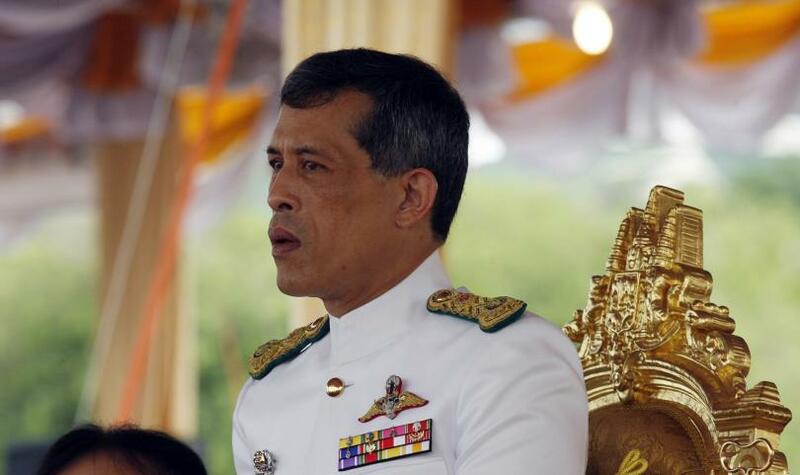 Crown Prince Vajiralongkorn is the king’s only son, and it is often said that he lacks the same popularity as his father, who was viewed not only as a father figure but also, by some in Thailand, as a demigod. The prince, a trained pilot, spends much of his time in Europe, at a luxury villa he reportedly owns on a lake outside Munich. He is often compared to Britain’s Prince Charles, another royal with a long wait to the throne and a messy love life. The crown prince has been married and divorced three times. Thailand’s Crown Prince Maha Vajiralongkorn watches the annual royal ploughing ceremony in Bangkok May 11, 2009. Some experts said that it was in the military’s best interests to keep the memory of the late monarch alive for as long as possible. The country’s political system has been under stress for decades from mass protests, military coups and a widening gap between urban elites loyal to the monarchy and the rural and aspiring middle class who support ousted prime minister Thaksin Shinawatra. Shinawatra’s sister, Yingluck, was the head of the country’s last democratically elected government until a military coup in 2014. The coronation of a new king lacking the authority of his father might deepen those cracks, experts said. On Saturday, the country entered the second day of a state of mourning that will officially last for a year. The wholesale market in Bangkok was overrun by purveyors of black clothes. Taxi drivers offered free rides to the Grand Palace, and buses brought in hundreds of mourners from across the country. Five times a day the radio emanated the mournful sound of monks chanting over the king’s body inside the cavernous palace complex. The prince spent much of his childhood in a different Bangkok palace, one his father had made into a laboratory of sorts for his pet projects to aid his country’s development, with a school and small farm. He went on to attend a military academy in Australia and now is a marshal of the Thai armed forces. The best known of his three sisters, Princess Maha Chakri Sirindhorn, a military history teacher and amateur photographer, took over administering her father’s development projects during his years of failing health, including shops that sell handicrafts from tribal communities. Although some think she would be a natural successor to the king, she has studiously avoided any hint that she desires the throne for herself, Nakornthab said. Experts said that when the crown prince does become king, she would serve as a prominent deputy. b) List the six countries that opposed the resolution to deny Jewish connection to the Temple Mount. c) What did Israeli President Reuven Rivlin say about the UN resolution denying any Jewish connection to the Temple Mount? 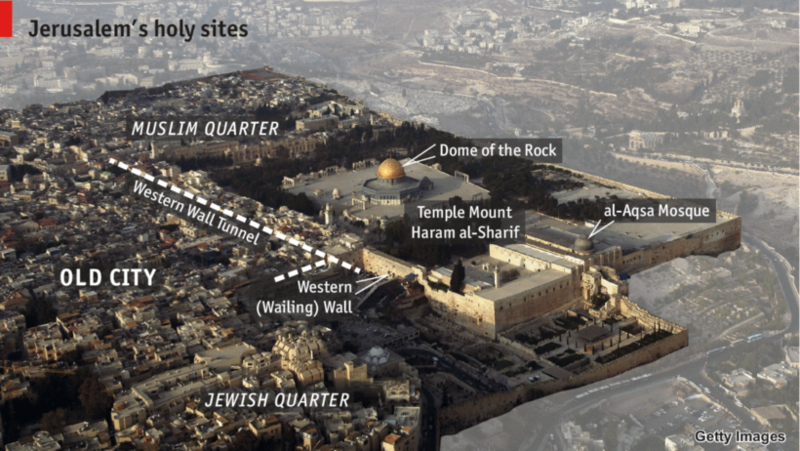 d) Prime Minister Netanyahu said, “To declare that Israel has no connection to the Temple Mount and the Western Wall is like saying that China has no connection to the Great Wall of China or that Egypt has no connection to the Pyramids.” Read about the Temple Mount under “Background” below. Why is the UN’s resolution so wrong? b) How many United Nations (MINUSCA) peacekeepers are in CAR? c) How effective do you think United Nations peacekeepers are at protecting civilians in refugee camps? (Are they doing the best they can? Are they ineffective?) Explain your answer. The draft resolution that rejects the Jewish heritage of the Temple Mount, submitted by Algeria, Egypt, Lebanon, Morocco, Oman, Qatar, and Sudan, will be referred to UNESCO’s executive board for formal approval next week. Twenty-four countries voted in favor of the proposal: Algeria, Bangladesh, Brazil, Chad, China, Dominican Republic, Egypt, Iran, Lebanon, Malaysia, Morocco, Mauritius, Mexico, Mozambique, Nicaragua, Nigeria, Oman, Pakistan, Qatar, Russia, Senegal, South Africa, Sudan and Vietnam. Six countries voted against it: Estonia, Germany, Lithuania, The Netherlands, United Kingdom and United States. While 26 countries abstained from the vote: Albania, Argentina, Cameroon, El Salvador, France, Ghana, Greece, Guinea, Haiti, India, Italy, Ivory Coast, Japan, Kenya, Nepal, Paraguay, Saint Vincent and Nevis, Slovenia, South Korea, Spain, Sri Lanka, Sweden, Togo, Trinidad and Tobago, Uganda and Ukraine. Serbia and Turkmenistan were absent from the vote. Israel, along with the United States, has been working in recent weeks to reduce the majority support within UNESCO’s executive board. These efforts bore fruit, leading France, Sweden, Slovenia, India, Argentina, and Togo, who initially supported the resolution, to abstain instead. The laws protect the most senior members of Thailand’s royal family from insult or threat. 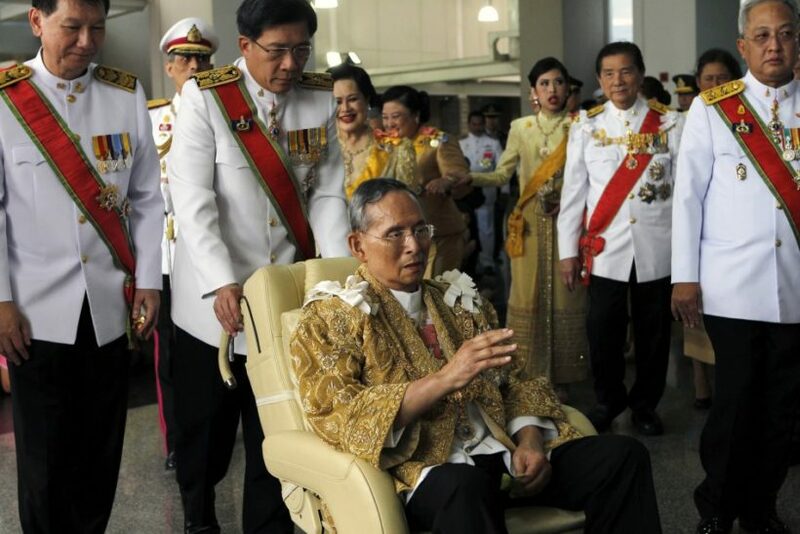 Article 112 of Thailand’s criminal code says anyone who “defames, insults or threatens the king, the queen, the heir-apparent or the regent” will be punished with up to 15 years in prison. This has remained virtually unchanged since the creation of the country’s first criminal code in 1908, although the penalty was toughened in 1976. However there is no definition of what constitutes an insult to the monarchy. And lese majeste complaints can be filed by anyone, against anyone, and they must always be formally investigated by the police. Meanwhile, the details of the charges are rarely made public for fear of repeating the alleged offence. Critics say the room for interpretation is too wide and the penalties too severe. Why does Thailand have them? The monarch is central to Thai society. King Bhumibol Adulyadej is widely loved and often treated as a virtual god. “The monarchy is above any conflict,” Winthai Suvaree, a spokesman for the country’s military rulers, was quoted as saying by AFP in June. Thailand’s ruling junta, which overthrew Prime Minister Yingluck Shinawatra’s government, is seen as staunchly royalist. The military took power on 22 May, 2014 after months of anti-government protests, saying it would return stability.